"Five Australians attempt to cycle 2600kms from Oklahoma to California in honour of the westward migration undertaken by 'The Grapes of Wrath's' Joad family. Through chance encounters with everyday Americans, the cyclists expand on the novel’s core themes of migration, inequality and the perceived land of opportunity. The group explores whether America has progressed since the book was written, discussing the wealth gap, immigration and the American Dream. The fascinating people they meet along the way reveal the enduring strength of human spirit despite the inequality and disenfranchisement which runs as deep today, as it did in Steinbeck’s seminal novel. 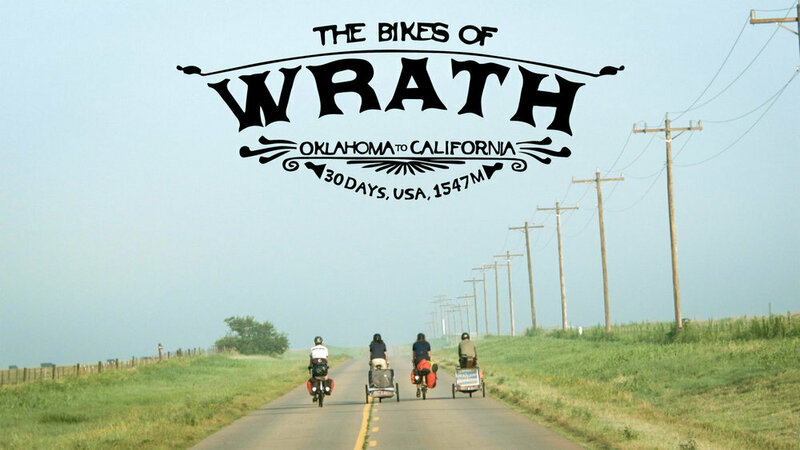 The Bikes of Wrath is a unique, funny and insightful documentary filled with adventure, literature, music, and human connection." Otherwise, we'll meet out front at the theater 6:15. If the minimum number of tickets is not sold, the movie will not be shown. Please RSVP and indicate if you will also be making dinner beforehand, so I can get a headcount and reserve table(s).